Hi! 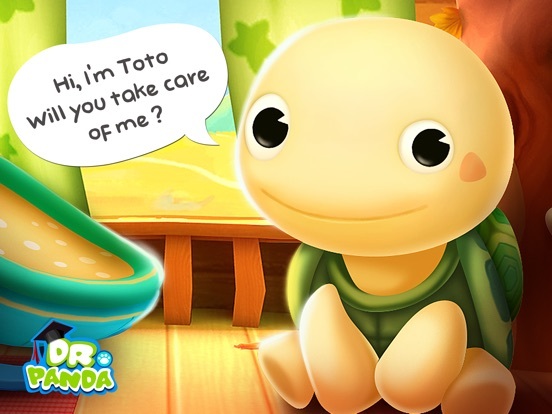 I’m Toto the Turtle! I’ve just hatched and would love a friend to play with and take care of me! Can you help me? 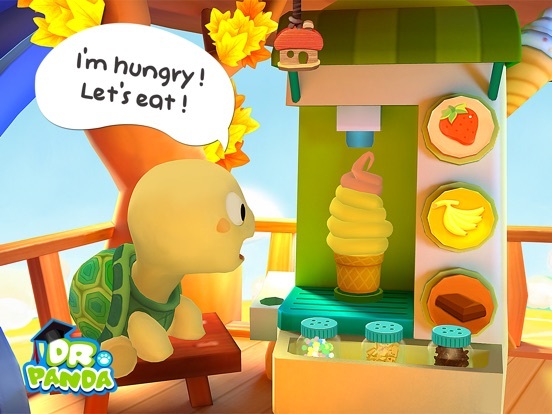 I live in a big treehouse all by myself, and I need you to help me make food, wash up, and of course play together! I may be small, but I love to play! 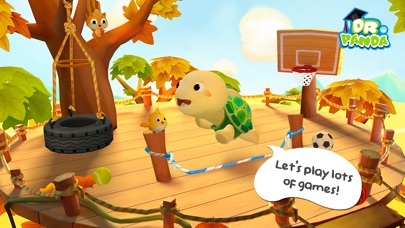 We can play basketball, or go on the tire swing, or even blow big bubbles! 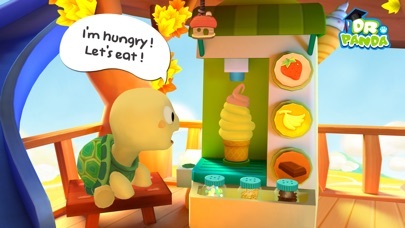 When we're hungry, there’s a nice kitchen where we can make sandwiches or even big ice cream cones! All that playing is tiring, though, so I’m glad I have a comfy bed to sleep in! Will you help take care of me and play with me? 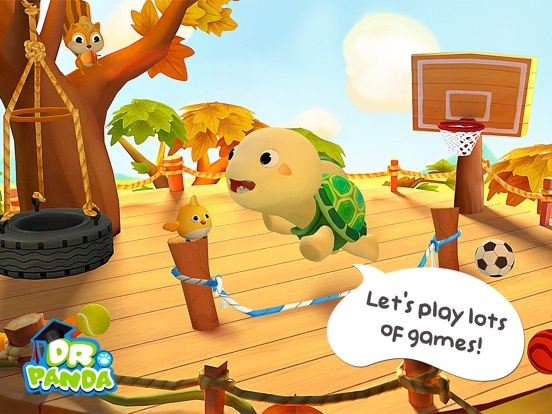 • Play all sorts of games with Toto, from bubbles to basketball! Toto will emote and react to everything you do to let you know how he feels! 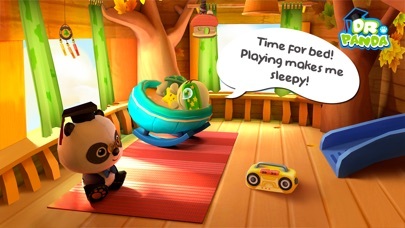 If you’d like to know more about us and how we design games for kids, visit our website www.drpanda.com/about . If you have any questions, feel free to send us an email at support@drpanda.com or contact us on Facebook (www.facebook.com/drpandagames) or Twitter (www.twitter.com/drpandagames) or Instagram (www.instagram.com/drpandagames). 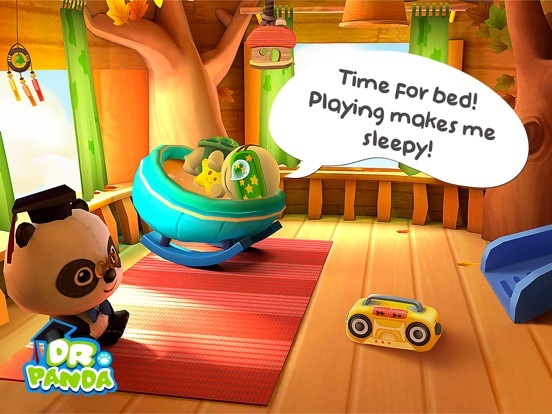 Enjoy playing along in Dr. Panda & Toto's Treehouse? Leave us a review and share your fun stories! Have feedback? Leave us a message​ at support@drpanda.com.